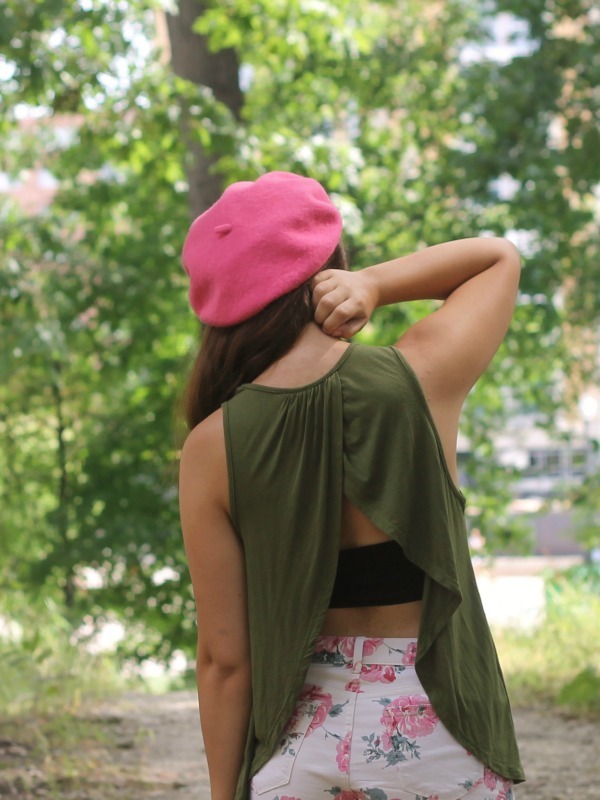 Army Green Tank: c/o Lulu*s.
Hinder Flat: c/o Pink and Pepper. Hello, hello from Kent, every body! I'm back to my neck of the woods (har-har) taking outfit photos! It feels really wonderful to be back. 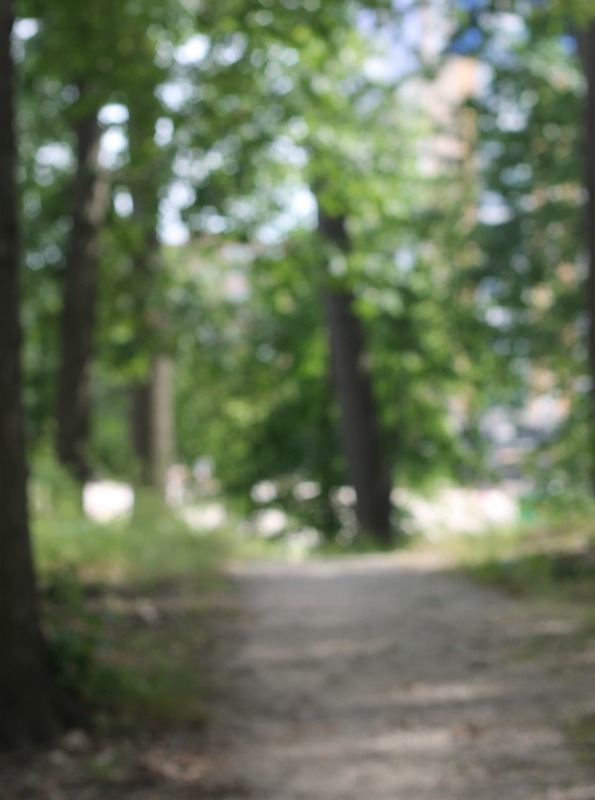 I think the biggest part of my worries was feeling, and I know this will sound strange, but like it was all a dream. I was starting to feel as though Kent had never happened and it was just some dream I'd had. But since being back it feels like I never left. I'm very comfortable in my new dorm and I love it even more than my dorm from last year. Moving in was quite stressful, as it always is, but I won't have to worry about it now for another year. I'm looking forward to showing you all some photos of my new room--it's a single so I get to decorate it however I like! My dorm this year is just on the other side of the woods I took pictures at last year, so you all get to continue to see this beautiful patch of faux woods at Kent State. This is what I wore for my first day of classes today-- something fairly casual. It's surprising because in years past I would dress up as fancy as I could to make a good impression, and although it is important to put some effort into your appearance, it shouldn't be like I used to do. What I did was unhealthy and I obsessed too much using dressing up as a way to make me feel better about my insecurities. I am very happy I can comfortably dress down and still feel like myself, not feeling like I have to impress or out do anyone. 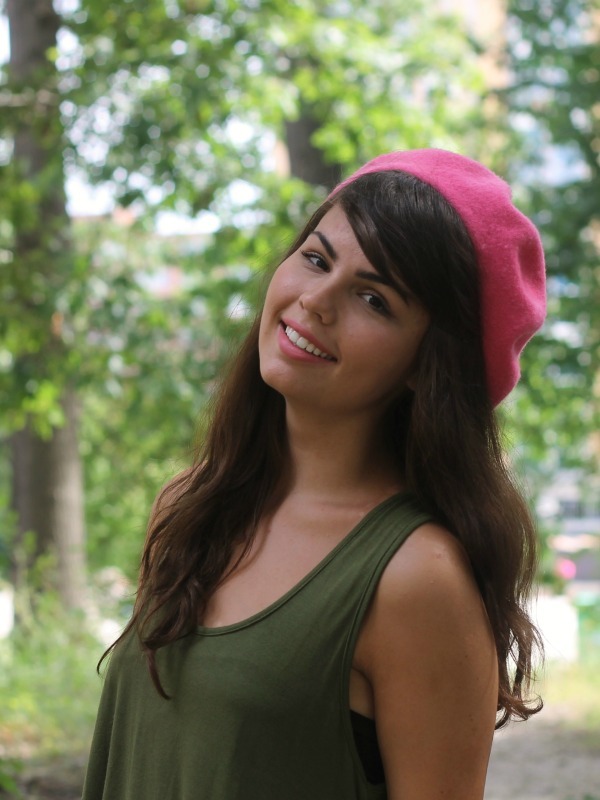 Your little pink beret is ah-mazing! Beautiful ensemble! 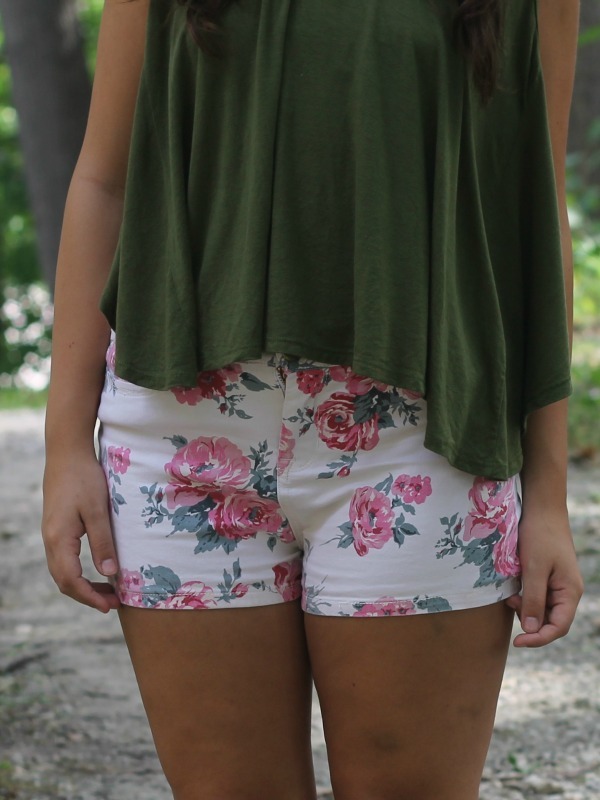 Your floral shorts are adorable and that green tank looks great paired with them! Love your outfit, you look cute casual or dressed up! You look so gorgeous, Lauren! Those shoes are fantastic!